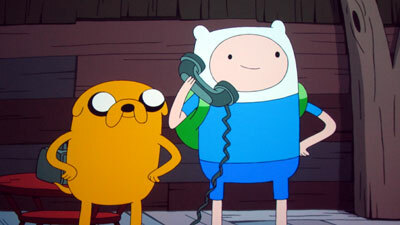 Finn the human and Jake the dog continue on their quest to have fun in the land of Ooo, save princesses, befriend strange creatures, and slay a foe or two — but only if they ask for it. After two seasons of this weirdo show, a show that employs a design style all its own, a show that continuously introduces bizarre characters, a show that operates on its own wavelength altogether… well, you’d have to wonder how long they could keep it up. Fortunately for its fans, even after 52 stories already told, the creators have shown no sign of fatigue. Season Three is just as strange and wonderful as the first two, adding another 26 episodes to an impressive repertoire. The world of AT already having been largely built, of course they have more of a chance to play around with the series’ conventions and develop its characters, but there is still no shortage of creative explosions in almost every episode. Just trying to summarize a plot can make me sound like a lunatic. In a good way, I suppose. With Season Three getting award nominations for both the Annies and the Emmys, something was sure working. The season begins with Conquest Of Cuteness, wherein Finn and Jake are forced into battle with the cutest, tiniest little critters you ever did see. As ferocious as the Cuties think they are (egged on by their tyrannical but oh-so-cute Cute King), they are actually pretty pathetic warriors. 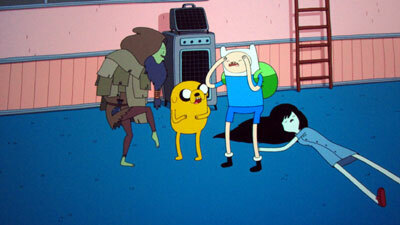 Finn and Jake try to fake a loss to the Cuties out of compassion. It doesn’t quite work, but… oh, well. Following that story, the guys take on warrior ghosts in an arena in Morituri Te Salutamus; Finn gets a little carried away, while Jake amusingly sings hula songs. We meet Marceline the Vampire Queen’s boyfriend Ash in Memory Of A Memory, and the guys are asked to go into her sleeping mind to remove a memory. The ever-kooky Ice King hires a hitman, without knowing what a hitman actually does, in Hitman, then has to try to prevent the guys from being killed. 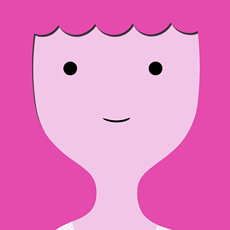 When Season Two ended, Princess Bubblegum had de-aged to become 13 again, conveniently the same age as our be-smitten hero, Finn. 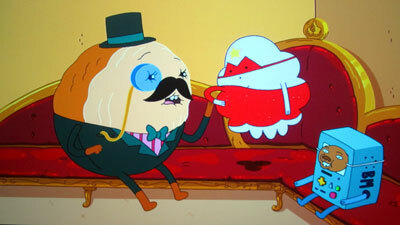 Naturally, this budding teen romance is doomed, which brings us to Too Young, where PB’s reign over her kingdom is threatened by the Earl Of Lemongrab, who declares that PG simply isn’t old enough for the position. 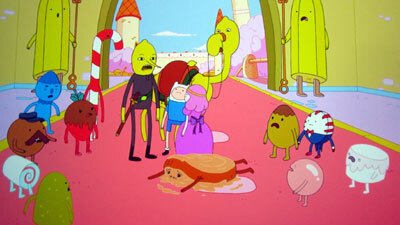 A princess of a different sort features in the next story, Monster, as Finn and Jake track down Lumpy Space Princess on behalf of her worried parents. Finn and Jake become very Still when the Ice King paralyses them in an effort to become their friend (yeah, that’s how nutty this guy is!). 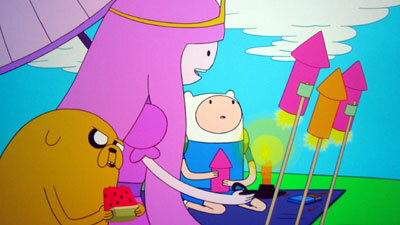 Finn and Jake then enter a Wizard Battle just to keep The Ice King from winning the prize of a kiss from Princess Bubblegum. 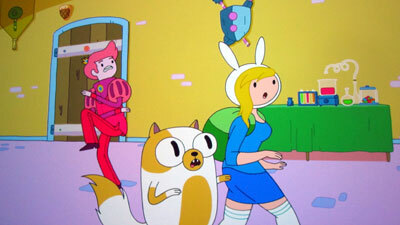 Fionna And Cake is notable for introducing gender-switched versions of the show’s characters, kind of an alternate reality version of the show. This premise was based on sketches made by series character designer Natasha Allegri, and as the story was developed it grew to include another gender swap, with The Ice Queen added in. 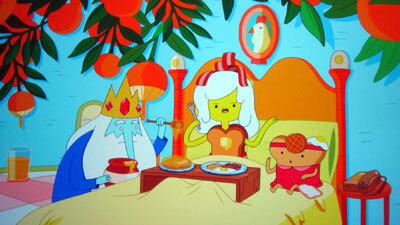 Prince Gumball was played by guest star Neil Patrick Harris, who delightfully gets to sing a tune. Not only is the episode a fun idea to start with, it actually has a nifty story of romance and misdirection. 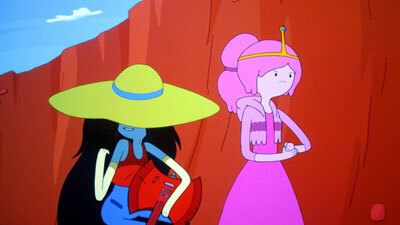 What Was Missing sees Jake, Finn, Princess Bubblegum and Marceline team up to form a band, in order to take on The Door Lord and recover stolen items; this episode is really very good, as songs sung by Marceline and Finn go a long ways to having the audience develop empathy for the characters. Another stolen object, Tree Trunk’s apples, are looked for in Apple Thief. 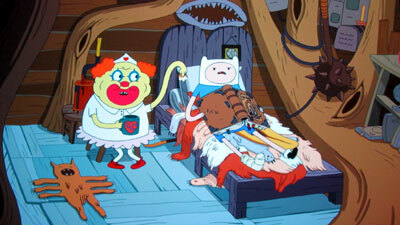 Susan Strong also makes a return appearance, in Beautopia, this time asking Finn and Jake for help defending her home. No One Can Hear You goes the Twilight Zone route, as Finn awakes six months after being knocked out and having his legs broken by a hit-and-run deer, only to find the Candy Kingdom deserted and Jake insane. Next, Jake is threatened by a tiny cat assassin (hiding in his nose, naturally) who threatens to poison him if he does not kill Wildberry Princess, in Jake vs. Me-Mow. 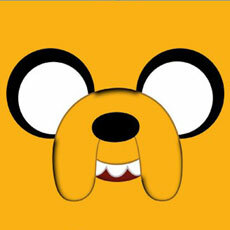 A battle between Finn & Jake and The Ice King fades to the background in Thank You, a tale of a lost Firewolf pup being helped by a Snow Golem. 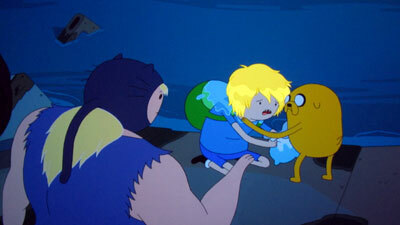 Finn tries to prevent the death of Jake after he has a prophetic dream of dying after contact with a Banana Man in The New Frontier. Who is the Ice King? Little did we know that he had a “secret origin” worth telling, but that’s what we get in the Christmas two-parter Holly Jolly Secrets. 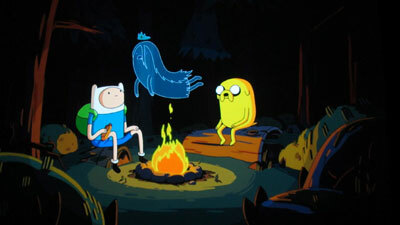 Finn and Jake find The Ice King’s video diaries, and learn all about his past as a human. As a two-parter, it does lack some snap, but it ends well. 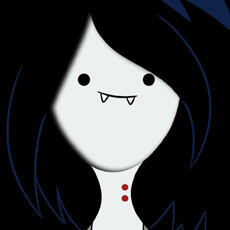 Next, we learn a little more about Marceline in Marceline’s Closet, when they boys spy on her while hiding in her closet after a game of hide and seek (I really didn’t need to know the nose-picking part). 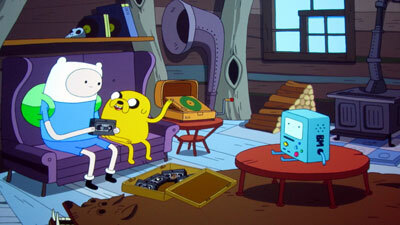 Next, an inattentive Jake delves into a book of Rainicorn history while Finn helps the Pagelings defend the library books from icky Moldos in Paper Pete. Finn seeks Another Way when he gets freaked out by the clown nurses trying to help him with an injured foot, and he searches for the tears of a cyclops; during his quest, he also learns a lesson in patience. The guys try to find out how Ghost Princess died, in order to help her ascend to Ghost World. 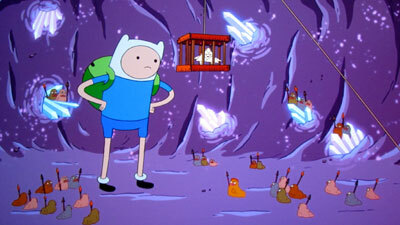 Then, staying with the dead theme, Finn hears from his deceased father and takes on his cruel invention in Dad’s Dungeon. 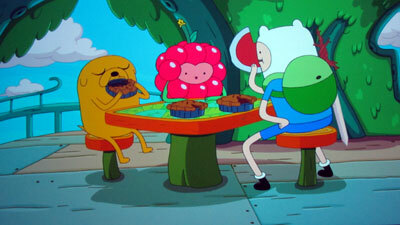 Finally, in Incendium, Finn’s pining for Princess Bubblegum has become worse than ever, and so Jake goes out to find him another princess his own age, finally going to the Fire Kingdom to seek the consent of the Flame King to date his daughter, Flame Princess. 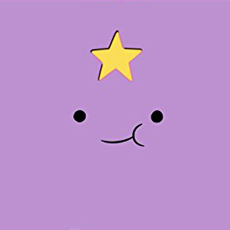 All in all, it’s a strong batch of episodes that introduces new characters and concepts, explores previously introduced characters and relationships, and maintains Adventure Time’s position as one of the most creative and popular shows on television. What impresses me is that, no matter how surreal the stories get, they still hold together pretty well, even if you feel like your brain might pop if it gets any stranger (or if they make just one more flatulence joke). 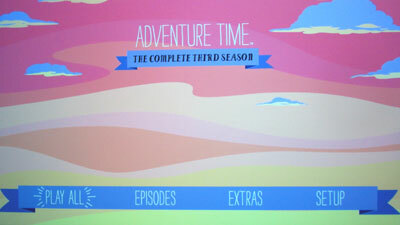 Audio Commentaries for each episode come courtesy of creator Pendleton Ward and several members of the production team. True fans will want to try all of these out, but I for one am wary of getting too far inside the minds of these guys! 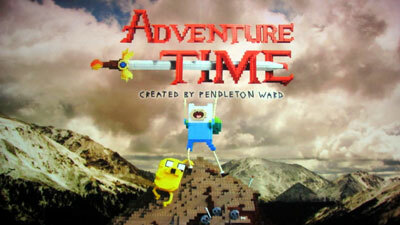 The Alternate Adventure Time Intro by Screen Novelties (0:36) is done in Lego, and actually is pretty cool. 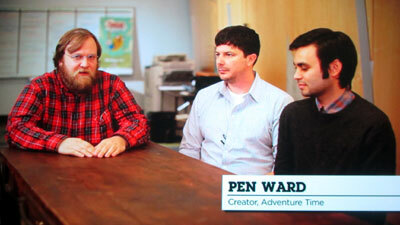 How An Idea Becomes Adventure Time (7:35) sees Pen Ward and a pair of collaborators discuss doing stories for the show. It’s nice to see them talking and all, but it’s basically seven minutes of “we make stuff we think is funny.” You won’t miss much if you forget to watch this. 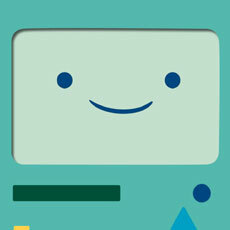 The eco keepcase reveals more of BMO than what can be seen on the cut-out cover slip, continuing the Adventure Time Blu-ray practice of actually making the cover slip figure in the packaging concept. 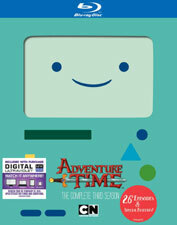 Inserts inside the case have an episode listing, cutouts for BMO’s extremities (to paste on the case), and an UltraViolet “Cloud” code. There is no more colourful show on television, and Blu-ray is definitely the best way to see it. Vivid colors, steady video without a hint of shimmer or banding, and a whacked-out production design make for a thrilling viewing experience. Try watching that zooming/dollying opening on a big screen, and you’ll see what it means to be plunged into a fantasy world. Just wow. For all the awesomeness of the video, the audio once again gets shorted with only a lossy Dolby Digital 2.0 track. I was stunned that Warner did this on the first two Blu-ray season releases, and I’m still at a loss now. (Literally, now that I think of it.) Perhaps space was an issue, considering the runtime on the disc. However, while one can certainly imagine how awesome the show would be in lossless 5.1 or 7.1 sound, I guess what we get is… adequate. Not getting something better is certainly not a deal-breaker, and there are no real problems with the audio. To be honest, I probably wouldn’t be able to tell the difference, but audiophiles will likely say otherwise. Points lost. There are subtitles in English for the hearing deficient. No other language options are available. The oddity of this series seems to appeal to most people who give it a try, and it has certainly won me over. At any given time, the show can be bizarre, sweet, juvenile, gross, scary, or thrilling, and it’s almost always interesting. The video is beautiful, though the audio is just satisfactory, and fans will enjoy tuning in to a full slate of audio commentaries and a few words from the creators in a separate featurette.